Survivor season 38 starts and Ron Clark is the one to watch. After all, Matthew Perry portrayed him in a film about his life. Add to that, Ron Clark is a successful author and Oprah loves him. 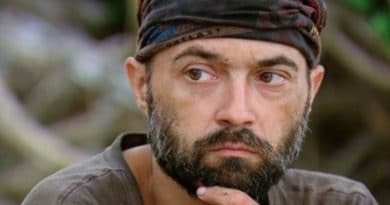 What more you could you ask for in a Survivor contestant? In this Survivor preview, we’ll break down the achievements of Ron Clark, who will appear on Survivor: Edge of Extinction. 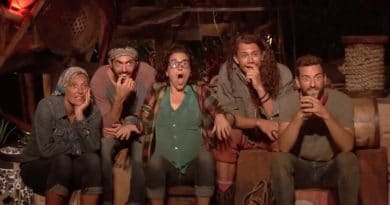 When season 38 of the CBS show starts back on February 20, the castaways will face more adversity than ever before. As always, the elements could be brutal in Fiji. But this season of Survivor, a new twist could push the contestants to the brink. We learned today that, when castaways are voted out, they will get an unprecedented choice. They can leave the game for good, or go to a new location—the Edge of Extinction—where they will have to survive on their own for a chance to get back in the game. Fourteen new castaways will get a chance to play Survivor, and among them are firefighters, salesmen, and students. However, one famous face sticks out among the rest. Ron Clark, a teacher at the world-renowned Ron Clark Academy will be joining the fray for $1,000,000 and the title of sole Survivor. But who is Ron Clark? We dove into his career to find out. Will Ron Clark’s Teaching Experience Help Him Win Survivor? Ron grew up in Chocowinty, North Carolina, graduating in 1990. Post high school, he attended East Carolina University. Even then, he received honors through the North Carolina Teaching Fellows Program. After receiving his degree, he began teaching in North Carolina. A few years later, however, Ron Clark moved to Harlem, in New York City. The Survivor player began teaching underprivileged children there, and received recognition for his success. In 2000, out of 70,000 nominees, he received the Disney Teacher of the Year award. This led to a national press tour, and was featured two different times on The Oprah Winfrey Show. Oprah named Ron Clark her first “Phenomenal Man”. In the old days (2001), #Survivor was in a heated ratings battle against Friends. Then in 2006, Matthew Perry (Chandler) played the title role in "The Ron Clark Story." And now, in 2019, Ron Clark is on Survivor. However, Ron’s success did not end there. He achieved additional Hollywood attention in 2006 when Matthew Perry, who played Chandler on Friends, played the lead, Ron Clark, in a made-for-tv movie. 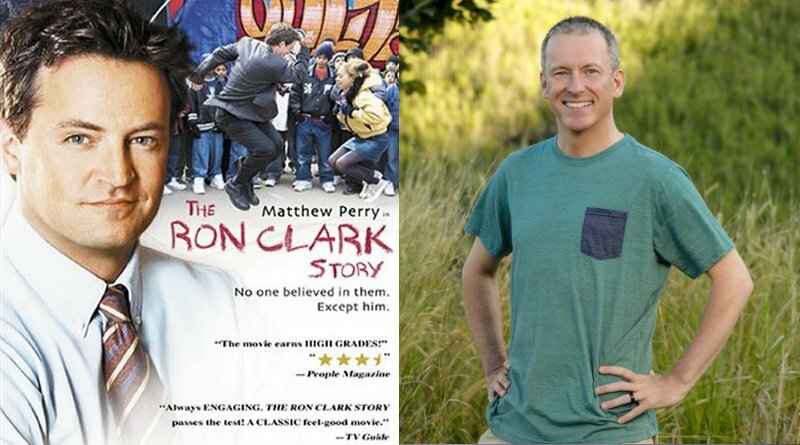 “The Ron Clark Story” earned a great deal of critical acclaim, and received nominations for three Emmys, one Golden Globe, and a variety of other awards across the film industry. After receiving attention for his radical teaching methods, Ron Clark revealed his secrets in a series of books. The first book, “The Essential 55: An Award-Winning Educator’s Rules for Discovering the Successful Student in Every Child”, has sold over 1,000,000 copies, and is considered a landmark text in education. his other books are also highly successful. Now, Ron Clark is going from the classroom to the island. He will appear alongside thirteen other players from all walks of life, as well as four returning players. He says that he “is an aggressive player”, and that his family and friends have told him to “let the game come to him”. The teacher also notes that he wants to use the persistence he gained from working in Harlem schools to get to the end of the game. Will award-winning educator Ron Clark be able to tone down the aggression, and go with the flow in the game? How will he deal with a whole new dimension in the game when a Survivor: Edge of Extinction twist is revealed? Most importantly, will Ron be able to “school” his competitors and take home the Sole Survivor title? 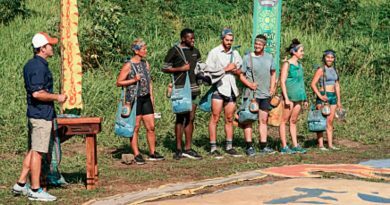 We’ll find out some of those answers on February 20 when Survivor: Edge of Extinction premieres, but until then, stay tuned to Soap Dirt for more previews, spoilers, and news! ← ‘Sister Wives’: Kody Brown Changes Tune About Meri’s Mother Bonnie Ahlstrom?